Are black rabbits lucky too? Have you met our latest arrivals, Hermione and Bellatrix yet? 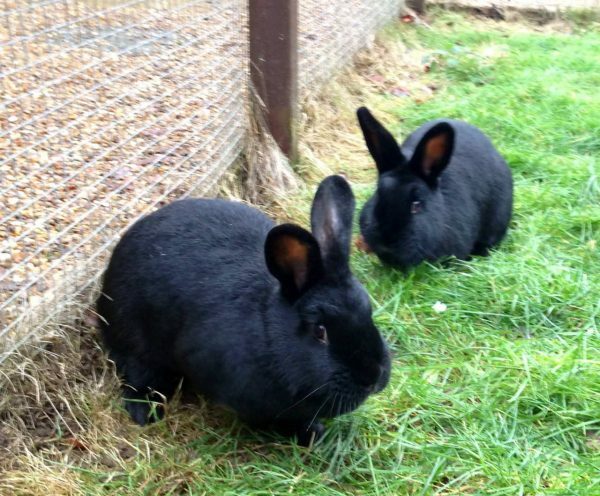 The pair are rescue rabbits and we’re not 100 per cent certain they’ll be staying with us because they’re such big bunnies and will need a larger hutch. However, as we’re currently in the process of building new hutches for all of our small animals in the Animal Village, they might just be in luck. Who knew black rabbits were as lucky as white ones?